Detective Lawrence Stone thinks highly of his gut feel - and it's telling him that the magician, Romond the Magnificent, is a thief. But no-one believes his theory, not even his own partner, Detective Trevor Stewart. 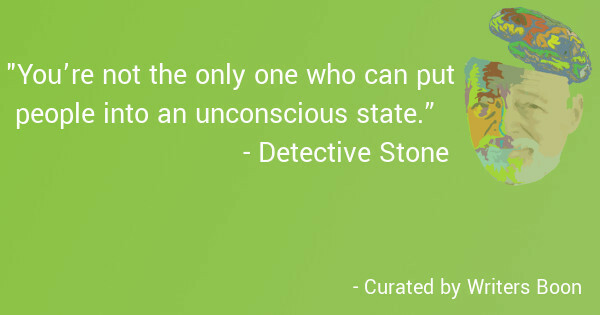 Stone needs evidence to make an arrest, and unsuspecting Krysta Nevvar could hold the key to more than she realises. Exposing Romond, and foiling the plans of his sinister accomplice, are two things Stone is hell-bent on doing, but he can't do it without first conjuring up an illusion of his own to ensure the protection of his key witness.